It takes a whole team to make a school a safe and happy place for children to learn. School support staff help children learn, keep children safe and healthy and make sure schools run smoothly. They are the caterers, the admin staff, the finance officers, the teaching assistants, the librarians, the ICT technicians, the parent support advisers, and more. School support staff are vital to the effective running of a school, but this is not often recognised as they are usually tucked away behind the scenes. They are the unsung heroes of our children’s education. See www.starsinourschools.uk/ for more information. 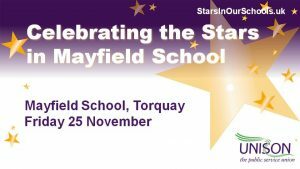 UNISON Torbay LG Branch will be helping to celebrate the wonderful school support staff at Mayfield School, Torquay, on Friday 25 November. 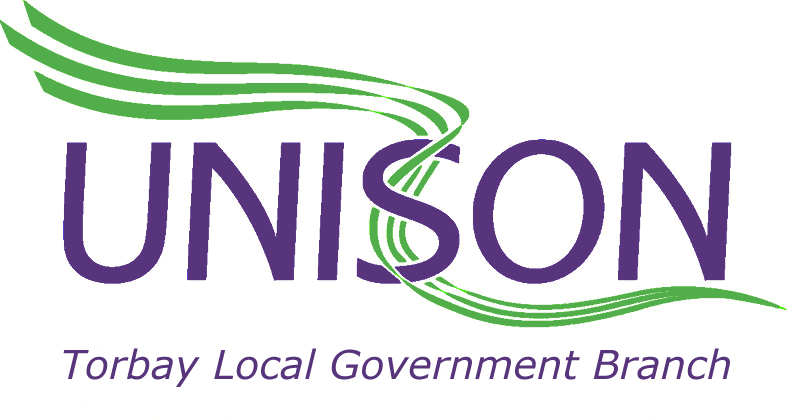 Support staff will be invited to join UNISON in the staff room for free cakes and Stars in Our Schools goodies.